In the first of our blogs ahead of the 2015 Challenges Paper (released in January) – Amina Mohammed, Special Advisor to the UN Secretary-General on Post-2015 Development Planning, shares her perspectives on the challenges for sustainable development in 2015 – and beyond to 2063. Through the Common African Position and Agenda 2063, African leaders underscore vital principles for development and the Post-2015 agenda provides a unique opportunity for advancing social justice, well being, resilience, and human dignity. For the United Nations, the universal pursuit of human rights, justice, prosperity and sustainable development is at the core of our global mission to promote human dignity for all. These are the underlying principles for the Post-2015 development agenda. We are not starting in a vacuum. 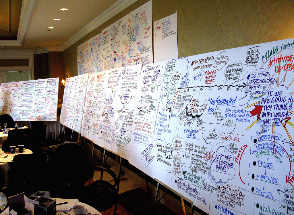 The experience of the MDGs provides the foundation for a new development framework. The legitimacy of any post-2015 development agenda comes from finishing the job on the MDGs and putting in place the bridge for a transition to sustainable development. This remains especially relevant to Africa, where many of the MDGs are unlikely to be met against a backdrop of a world with significant existing and emerging challenges. 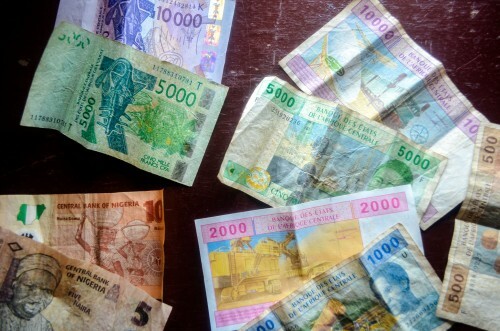 African economies are bolstered by strong performances across many sectors. In terms of growth, they consistently outperform other emerging markets. In terms of demographics, African societies, whose average age is 19 years old and fifty per cent women, promises strong labour markets and economic dividends, which could yield greater human development, social cohesion and political stability. It is clear from the continent’s unique human and natural resource potential that Africa is rising and economic transformation is becoming a reality. Despite this transformation, significant challenges still hamper the leveraging of the continent’s potential for the benefit of all its peoples. Climate change is bringing increased devastation to lives and livelihoods; public health emergencies like the Ebola outbreak are growing; poverty and inequality is persisting. Violent conflict continues to claim innocent lives across the African continent, as well as in the Middle East, Asia, the Americas and Europe. In all regions, communities are struggling to cope with the impact of financial, social and environmental shocks. They are also facing marginalisation, natural disaster, economic hardship and political uncertainty. Unemployment is on the rise especially for Africa’s teeming young population, and so too is intolerance, disillusionment and impunity. The Post-2015 development agenda provides us with a unique opportunity for achieving a peaceful, equitable and prosperous coexistence within and among nations by advancing social justice, well-being, resilience, and human dignity. These principles are upheld when we promote gender equality and the rights of vulnerable communities including those of indigenous peoples and migrants. We advance them when we remove the barriers that people face because of gender, age, race, geography, ethnicity, religion, culture and disability. I welcome the fact that all these elements are also underscored by African leaders and stakeholders through the Common African Position and associated Agenda 2063. These documents also point to the fact that some key enablers need to be agreed upon to ensure the success at the country level of the Post-2015 agenda. To achieve our aspirations for a just and prosperous world for the people and the planet we need to mobilise resources for development, enhance accountability through legislative oversight and give voice to the most vulnerable through proper representation, rule of law and strong and well-functioning institutions working in an integrated manner. Practical commitments and action from African partners, businesses and other non-state actors can encourage political leaders to act more courageously in protecting people’s rights and the environment. We all need to collectively bring on board our diverse aspirations, cultures and beliefs. Only in this way can we speak to the heart of humanity’s deepest needs, concerns and hopes for the world. The role of the international community will remain critical in supporting African countries in implementing effective strategies. Multi-stakeholder partnerships should be encouraged. There is a need to work together and intensify efforts to achieve a more inclusive, equitable and sustainable development path built on dialogue, transparency and social justice for all. That is the world we want and ours is the first generation with the resources and know-how to end extreme poverty and put our planet on a sustainable development course before it is too late. The only way to achieve poverty eradication is by ensuring we embrace sustainable development in its three dimensions – including protection of the environment and promoting economic opportunity for all. Failure is not an option – we must work together to create a world where all people live with dignity and hope, and fulfil their potential. 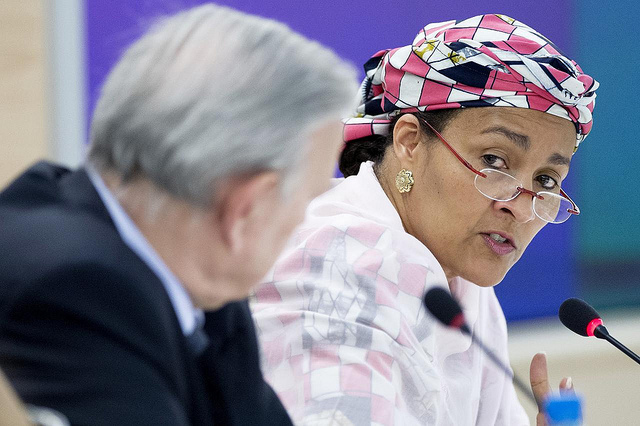 Ms Amina J. Mohammed is Special Advisor to the Secretary-General on Post-2015 Development Planning. Photo courtesy of United Nations Geneva; video courtesy of the Hertie School of Governance, Berlin. 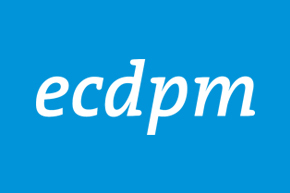 Read more on ECDPMs annual Challenges Series here.